This is not to begrudge Chris Thile the MacArthur “genius” grant he was awarded last week. Thile, the genre-averse mandolinist and composer, is indisputably brilliant. A world master of his principal instrument, the mandolin, Thile has a seemingly inexhaustible creative imagination. He plays with tongue-dropping virtuosity; then again, so do some other musicians established in the fields with which he is most closely associated: bluegrass and classical music. Thile is also a rangey composer, the author of a good concerto for mandolin and symphony orchestra (called Ad astra per alas porci); a album of avant-pop songs (called Deceiver), on which he plays all 39 instruments on the recording; and a four-movement suite inspired by his divorce (called The Blind Leaving the Blind), which he performs with his string band, Punch Brothers. Thile has made an album with Yo-Yo Ma. They love him at NPR. In short, Chris Thile is very much a MacArthur kind of genius—eclectic, experimental, and obviously serious. I certainly have no quibble with the values of eclecticism, experimentalism, and seriousness. I just wonder if the awards culture in general and the MacArthur process in particular might tend to grant them weight at the expense of other legitimate values, particularly light-heartedness. 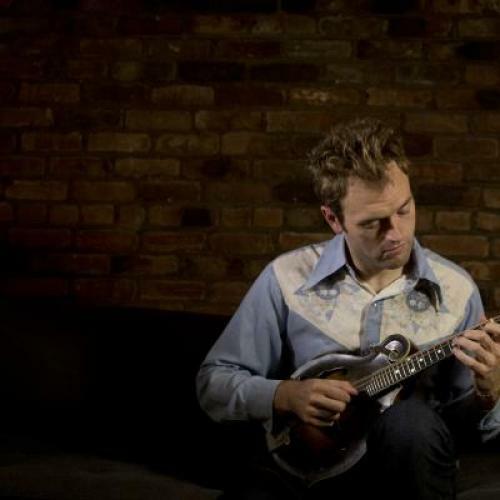 The MacArthur for Thile is in part a vindication of the mandolin as an important instrument. Thile, among the greatest living mandolinists, walks with the giant David Grisman; among musicians in the field of bluegrass, specifically, both of them have a peer in the superb Ronnie McCoury. Before them all came the renowned “father of bluegrass,” Bill Monroe, and the mandolinists’ mandolinist, Kenneth C. Burns. Popularly known by his stage name, “Jethro,” in the music-and-comedy team of Homer and Jethro, Burns could fairly be thought of as the Louis Armstrong of the mandolin— a virtuoso who musicians revered for his deep musicianship and who the general public loved but underrated for his clowning. Burns, who died in 1989, was living and still performing with his usual brio during the first eight years of the MacArthur grants. He was surely too old to win, and, for all his genius, might have seemed just too silly. But the success of Homer and Jethro’s humor disguised the experimentation in their hybrid of cornpone schtick and song, as well as the seriousness of their musicianship.